This summer I will be reading through the Lutheran Confessions, and I wonder if there is anyone out there who would like to read with me. Several years ago I came across a schedule for reading the Book of Concord during the summer (May 30–September 6). I like doing it in the summer because my schedule is a little lighter, and it seems better to read this in longer sections, rather than to spread it out over the whole year (using the schedule included in the Reader’s Edition). 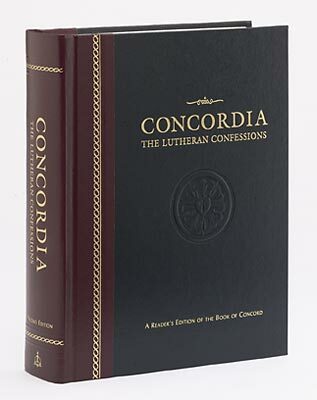 I will be using the CPH Reader’s Edition (Concordia: The Lutheran Confessions) again. This has become my standard English version which I use. If you don’t have a copy of the Book of Concord, get one. Read the paragraph below to explain why. It is currently on sale for $20 at cph.org. If you have a different version (Triglot, Tappert, Kolb/Wengert), there is an older version of the summer schedule here. If you don’t want to buy a book, you can read it on the internet right here, or purchase an electronic version here. You might also consider the pocket edition if you want to keep reading while on vacation and not have to lug a big book around. Are you interested in reading with me? If so, I’d like to hear from you. Perhaps we can even discuss a few topics as we go through it. I’ll warn you that the schedule is pretty ambitious. This is the third time I’ve attempted this schedule and I’ve never yet finished on September 6th. But maybe if I had a few reading partners, you can help me stay on track. You can download the schedule through this link. This is not just a book for pastors and church “professionals” or “academics.” In fact, it is important to realize that the people most directly responsible for the Lutheran Confessions were laymen, not pastors and theologians. At tremendous personal risk to their own lives, their property, and their profession, laymen boldly stepped before the emperor and the pope’s representatives. They asserted that these Confessions were their own. They did not back down or compromise. For this reason, it is unfortunate that down through the years the Book of Concord has come to be regarded more as a book for pastors and professional theologians. Tucked into the middle of this book is the most widely used of all the Lutheran Confessions: Martin Luther’s Small Catechism. Luther wrote this document not simply as a resource for the church and school, but, first and foremost, for the head of the household. Luther intended this little book to be used by laypeople, daily, to help them remain anchored to the solid teachings of God’s holy Word, the Bible. So keep this important fact in mind: The Book of Concord exists because of the faith and conviction of laypeople, who risked their very lives in order to have these Confessions produced, published, and distributed. The Book of Concord is a book for all Christians, church workers and laypeople alike. So dust off those Concord Books and we’ll get started in just a few days! Count me in. I’ve always wanted to read and study the Book of Concord cover to cover. I’m curious if we have enough tech savvy people here to consider using Google Wave as a collaborative tool. Sounds like a great idea. Count me in. Blessings. I like the idea of using Google Wave for discussion. I’ll check into Google Wave and let you know what I find. I don’t know who put this schedule together. I wish I could remember where I found it. Anyone else know? Count me in. I’ll give it a try, too. I’d be interested especially in discussing what the confessions say about man’s free will since I am doing a paper on the topic for January 2011. I’m in, Hans! I pray I can keep up with y’all. I’m in Pastor. Been meaning to read this, but don’t like the schedule in the book. I”m game to go with yours! If you would like to join in a discussion as we read, join our Google Wave (https://wave.google.com/wave/waveref/googlewave.com/w+LCQs7G5kC). It seems that most of us are just getting to know this collaboration tool, so we’ll see how useful it is. Does anyone know if you still need an invitation to get into Google Wave? The idea for this is to have a place for you to ask questions or make comments about what we’re reading. I’m really excited about the number of people who have indicated that they plan to give it a try. 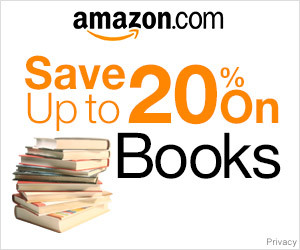 Perhaps we’ll be able to encourage each other to keep reading. I’m in. This will be my 4th reading but the other three times were the Tappert edition. I’ve used it so much the binding is breaking! I’m in! I tried this schedule last summer, but didn’t keep up. Hoping that having a discussion group with others doing it will help me stay on track. I’m in too! I’ll do my best to keep up! Blessings all. Oh good! Now I’m behind on something else! Like many of you, I am intimidated by the heft of the book and the size of the task. We pray for diligence. Thanks to Pr. McCain for pointing me to this great site. I really appreciate the invitation as it will help me get things done. So far I am at June 9th in my reading. I have to get ahead as I will be a delegate to the convention and suppose that I will have plenty of reading material there. I’m in. I got a late start, so hopefully, I can catch up later this week. I’ve never read The Book of Concord(to page 107 today). I have my dictionary close by and am learning alot. It’s so great to see how the early Christian leaders thoroughly explained and argued for the Word of God. I already have a few questions formulating. Won’t hit you with them now on my first visit.